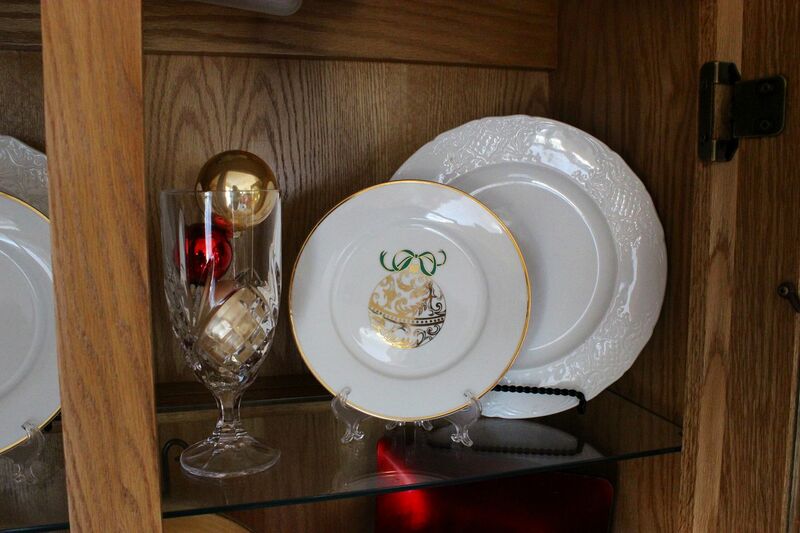 I wasn't even sure if I was going to decorate the china cabinet for Christmas but then, as I was going through my dishes, I found some that I have had forever and have never displayed. The china cabinet seemed to be the ideal place to show them off! On the bottom shelf I layered some bright red chargers and added these cardinal plates I got on clearance from Macy's several years ago. The cardinal candy dish is from Kirkland's. Even though I have never seen one in real life, cardinals are one of my favorite birds. And their red coloring is perfect this time of year. I kept the top of the cabinet simple. Just a few of my favorite pieces. Santa was a gift from my mother-in-law, The reindeer came from clearance at Stein Mart and the decorated sled is from Goodwill. I added holiday picks to fill it in. Gosh, I just love Santa! 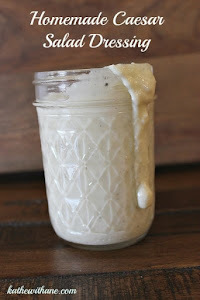 And this one just speaks to me. For the inside shelves I used some square red plates from Safeway years ago and placed ornament plates from Pier 1 in front of them. 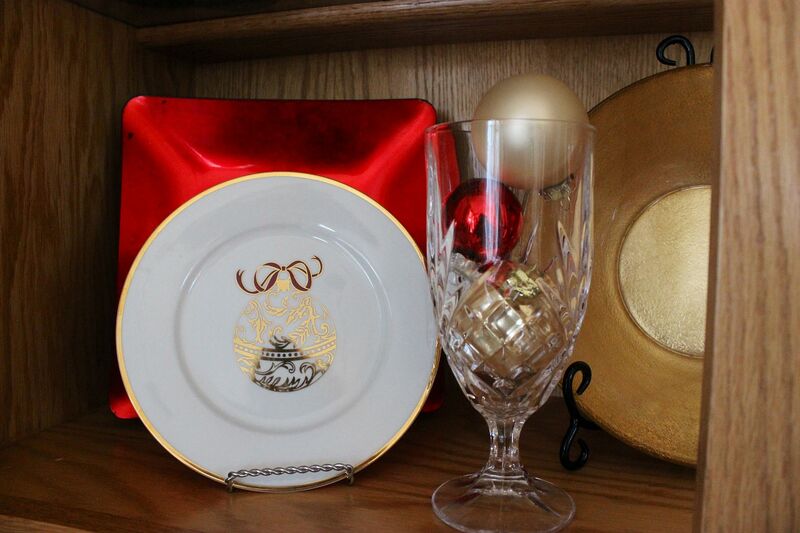 Several Godinger Shannon goblets hold red and gold ornaments. 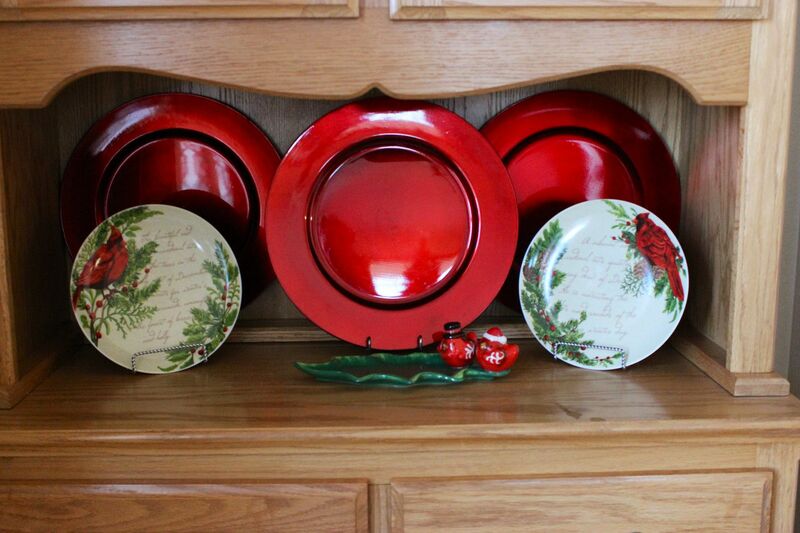 Judging by this cabinet and my mantel decor, red and gold seems to be my theme this year. A shiny gold bowl sits in the center. On the top inner shelf I used some white Johnson Bros dinner plates from Goodwill to anchor more of the ornament plates. Another Santa, shiny red mercury glass at that, sits on the right side. He was another gift from my MIL. I'm guessing she does really know me! I'm really pleased at how my digging through dishes helped me to create such a pretty display in the china cabinet for Christmas! Very pretty Kathe. I love your Red and Gold theme this year! I love Christmas plates. Looks like I will only get one table set this year but hey, I'm OK with the trade off of a few days on the beach! 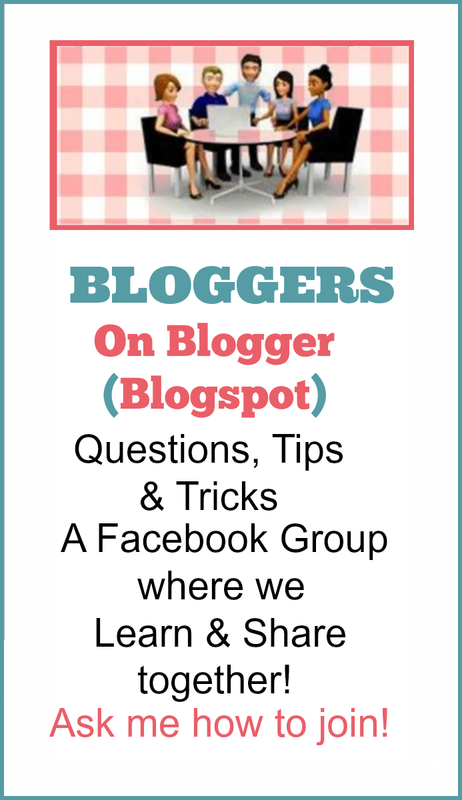 I'll be sending emails and FB posts I hope! Very pretty! I collect santas and love the one ffrom your MIL. Merry Christmas! Beautiful, Kathe! I love the red and gold, too. P.S. I'm sorry you've never seen a cardinal! That makes me sad! I didn't even realize they weren't "everywhere". Your cabinet looks so lovely - it is always good to get out special bits & display them so you enjoy them! 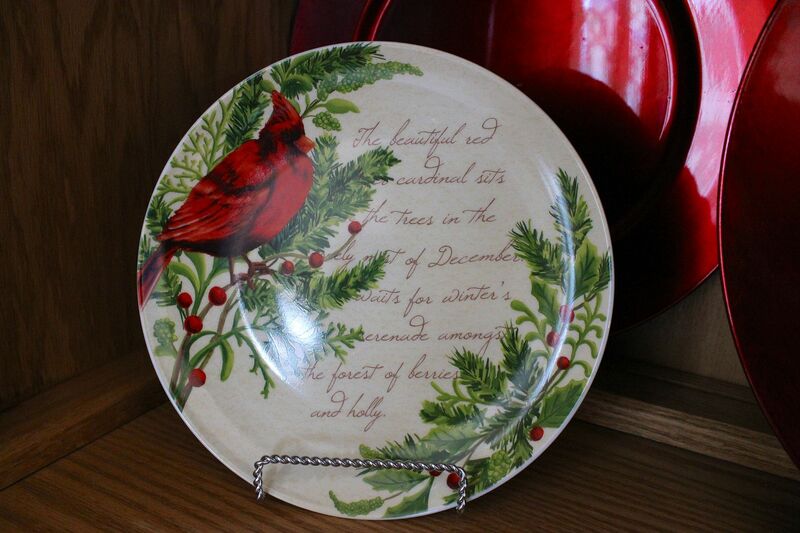 Love the Cardinal plates, we have cardinals in our yard every year. 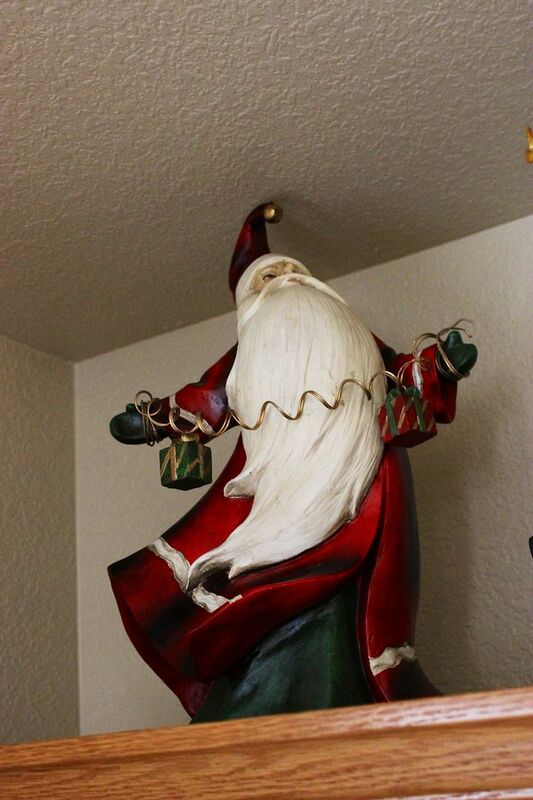 That Santa on top is fabulous, I have never seen one like that. 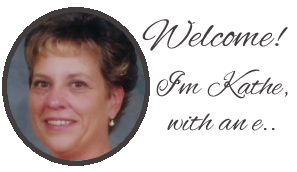 Very pretty, Kathe! I love cardinals too..we get several in our yard. They are beautiful birds. Love your Santa Clauses...perfect touches! I don't usually do style a cabinet for the holidays but love yours! Your cabinet is gorgeous! I love the Santa also, and those ornament plates are really pretty! 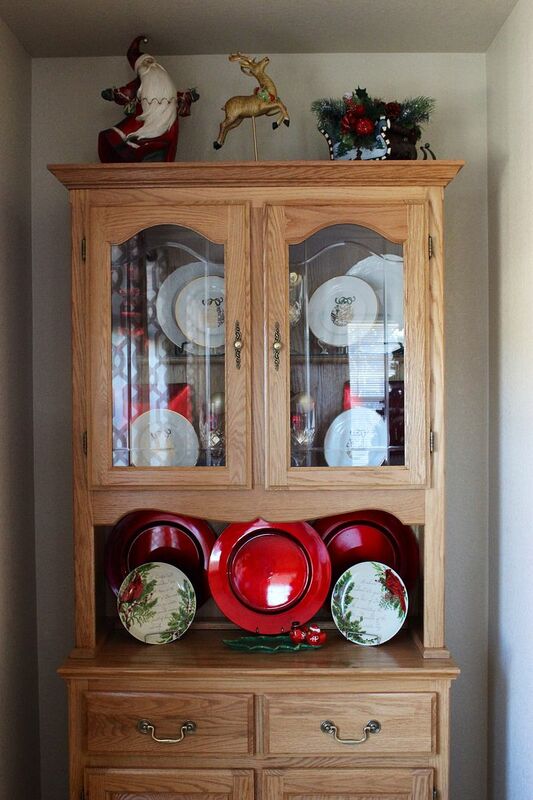 Your china cabinet looks so pretty and cheerful for the Holiday! I love all the bold pops of red! And the Santa is adorable. I collect Santas and just love yours! This is beautiful! Being a WV I ADORE those cardinal plates and those red chargers are out of this world!!!! Really pretty Kathe...I'm changing my hutch tomorrow just don't like the way I did it this year. love your Santas! Love it! 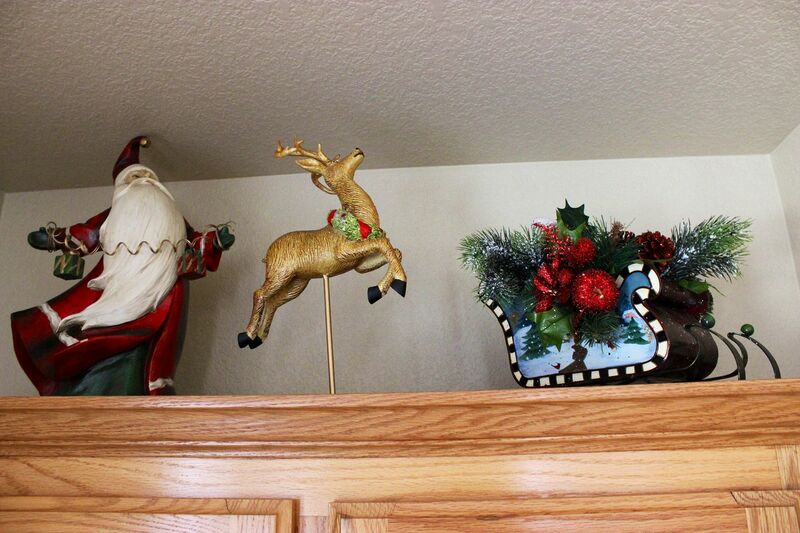 The reindeer and Santa look like they are running late and hurrying to the sleigh! 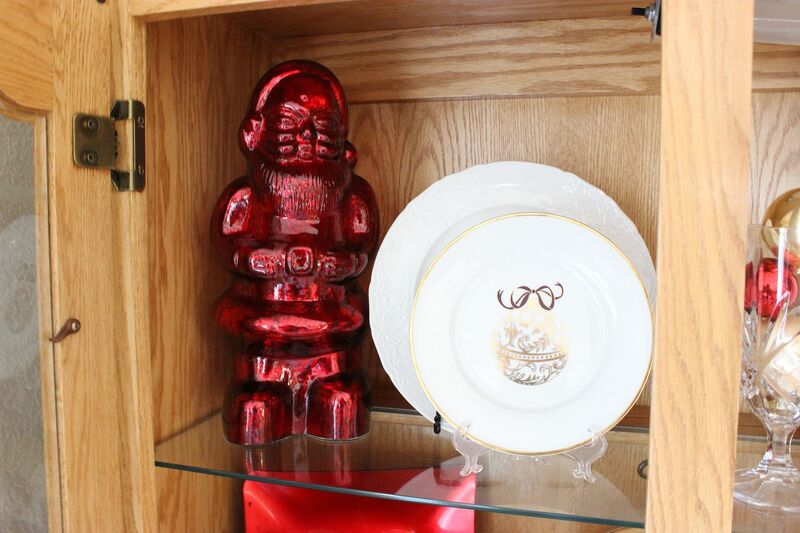 I didn't even know you could decorate a china cabinet! All these years...well, I guess mine is really more of a breakfront, so there's no shelf to put things in between the cabinets and the drawers the way yours has. Looks very nice! I like the Pier 1 plates! You've never seen a cardinal up close and personal??!??!?! Oh, my goodness! I hope you get the chance to see one. The males are absolutely beautiful with their striking red coloring. The females are pretty drab, though. We see them here ALL the time, and they make a point to letting me know they are hanging out outside my office and kitchen windows. One actually dive bombed one of the kitchen windows earlier this year. We found her deceased on the deck with a crushed in head. Very disturbing. 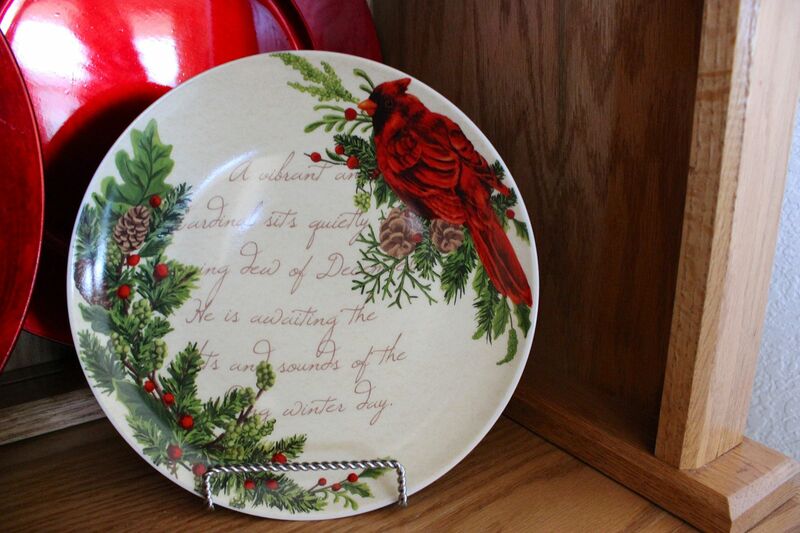 Despite that tawdry little incident, I still enjoy decorating with things depicting the beauty of cardinals. 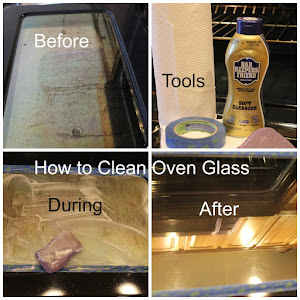 You did a wonderful styling job on your china cabinet, Kathe! Enjoy it and all the rest of your pretty vignettes and decor throughout the house, and have a very Merry Christmas! You decorated your hutch so beautifully! I love the red and gold theme - I used those colors some this year, too. I can't believe you've never seen a cardinal before. I live in Missouri (like Alycia above, but on the St. Louis side). The males are SO brilliant red. The females are not so bright but the same shape with that cute little tuft on top of their heads. We have several pairs at our feeder each winter and are so much nicer with the other birds. Those pesky blue jays are real bullies. Hopefully someday soon you'll get the chance to see them in person, until then you can always watch our Cardinal baseball team when they come to your town or on TV!!! Merry Christmas!